Our Marriage celebrants offer a lot of other services for our customers as well. Our Marriage celebrants are leading the market when it comes to wedding ceremonies but it’s our dedication and hard work that has helped us to expand our services. Here we will be discussing about some of our other services that have got popularity due to our excessive hard work and dedication. On the top of our list is commitment ceremonies. Chris Humphreys has been working in Australia for quite a while now thus we are well aware of the requirements of a wedding ceremony. Most of the people prefer going through a commitment ceremony before a marriage ceremony. They feel that it is important to have his ceremony because it will help them to affirm their love and commitment without the legalities of a wedding ceremony. It is among one of the most popular ceremonies that are being held in Melbourne. So if you are interested in having a Commitment ceremony before a proper marriage ceremony then do not hesitate to contact us as our marriage celebrants are here to serve you. Just drop your details on our website or call us through the details given and get your commitment ceremony booked. Your commitment is important to us because we know how significant this moment is in your life. 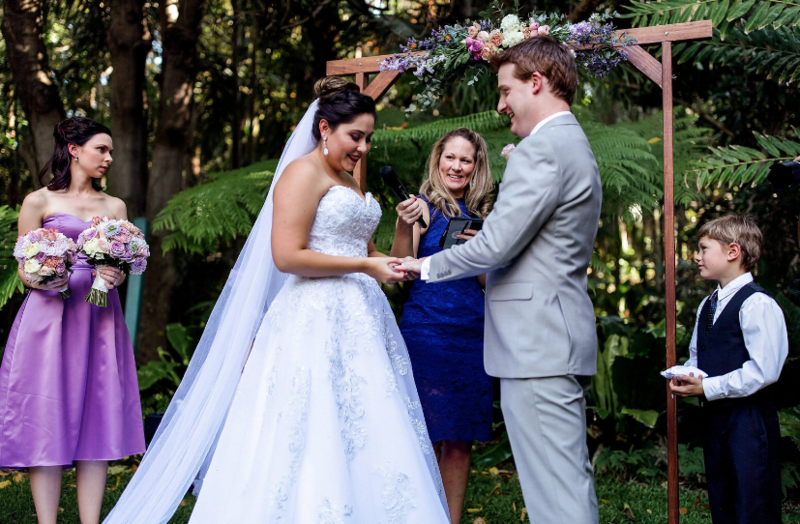 Our Marriage celebrants expand our services all across Australia so do not hesitate to call us and get your commitment ceremony booked right away. Chris Humphreys would provide you the platform to create a commitment ceremony that reflects the style you would desire to have. Furthermore Our Marriage celebrants ensure that the commitment ceremony designed by us is elegant, informal, vintage, contemporary, flamboyant and custom themed so that not only you but those who attend your commitment ceremony also remember the ritual for long. Our Marriage celebrants have made numerous ceremonies successful because of our dedication and commitment towards work. Our Marriage celebrants have the honor of arranging renewal of vows ceremony for our customers. It is a ceremony that is meant for a couple that wishes to signal their renewed commitment to each other. It doesn’t matter whether it is a wedding anniversary or a special birthday surprise our marriage celebrants can make it special with our exceptional ideas. Here is another amazing ceremony that our marriage celebrants arrange to honor a birth. Our Marriage celebrants will create and deliver a unique ceremony for you and your baby, to welcome them into the world and tell the story about their name as name is an integral part of them and their personality throughout their entire life. Our celebrants have vast experience of arranging funeral and memorial ceremonies. We can arrange a special Funeral and Memorial Ceremonies for your loved ones who have left the world because we know that they still live in your heart. How an individual can register to be a celebrant?